So you’ve chosen your tiles – what next? They need to be laid or installed. Tile Town is here to help you for this next part of the process too. We offer you a range of high-quality grouts and silicones to ensure optimum tiling. We supply the tilemaster brand for these essentials because we know they are products we, and you, can count on. 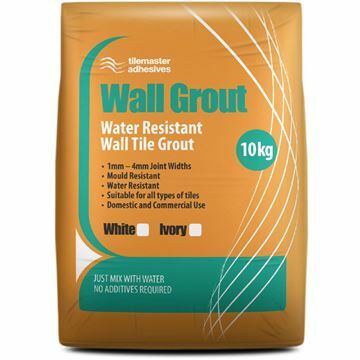 This fast-setting grout is ideal for a wide range of floor and wall applications. Its flexibility means that performs will in versatile environment, such as on surfaces that are subject to a small range of movement or vibration – for example where underfloor heating systems are in use. 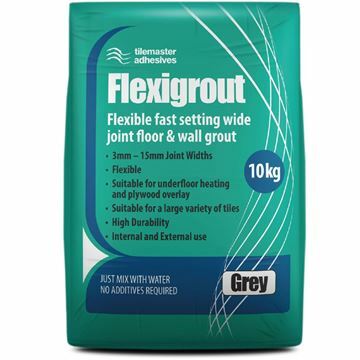 Flexigrout’s resistance to moisture means that it is ideal for use in constantly-wet conditions such as bathrooms. It is suitable for grouting joints in wall and floor tiles of between 3mm and 15mm. This highly-versatile wall and floor grout shares many of the advantageous properties of Flexigrout: namely, it is highly resistant to water and thus suitable for applications in wet environments, as well as areas subject to some limited vibrations and movement. In addition to this it contains anti-mould technology, providing you with added value thanks to the reduced likelihood of mould developing between your tiles. What’s more, it is a particularly eco-friendly option, as it contains over 25% recycled material – help out the planet with your DIY! 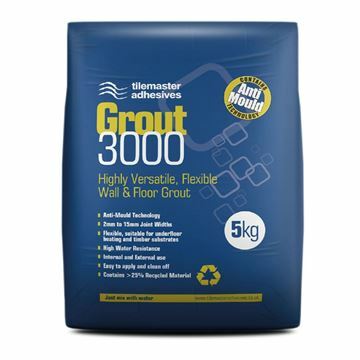 If you are going to be using grout in a bathroom and will need to use sealant, then the Grout 3000 is a good option, as we also stock the tilemaster range of silicone sealants, which match the colours of this grout. The tilemaster wall grout has been specially developed for wall applications with grouting joints of between 1mm and 4mm. A water-resistant, cement-based grout, it is resistant to moisture and can therefore be used in both kitchens and bathrooms without being affected by splashes and condensation. This is the grout to choose if you are using small, glass mosaic tiles, but it is also suitable for use with a wide range of other materials, such as ceramic, porcelain and slate tiles. 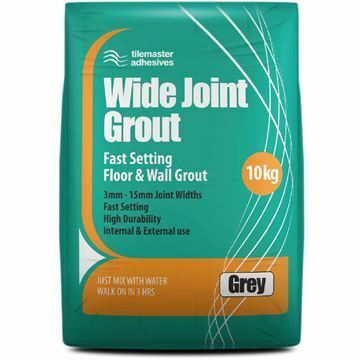 The Wide Joint Grout is more of a heavy-duty grout, intended for use with floor tiles. It is to be applied on top of solid surfaces, such as concrete, sand and cement screed, without underfloor heating. It is excellent for areas with a lot of traffic, and thanks to its fast-setting properties, it can already handle light foot traffic just 3 hours after the tiles are laid. This range offers premium quality sealants for use on floors and walls in wet areas. It has anti-mould technology and boasts excellent adhesion, as well as being easy to apply. As mentioned, it has been specially developed to match the Grout 3000 range, and therefore comes in 10 different colours. his means that you can create a smooth, uniform look across your entire room. View our products in more detail below.